Birth, marriage, and death (BMD) records are the bedrock of family history research. After all, everyone's born, most of us marry, and we all, eventually, die. To successfully build a family tree you'll need to use information on the family members you already know about to discover those you don't. The documents that help you do this can vary from prisoner lists to business indexes, military records to archived newspapers, but while those resources can be amazing for painting a picture of what your ancestor may have been like as a person, more often than not it's BMDs that allow you to identify them in the first place. Before you start searching for anything you need to collate all the information you already have from your parents beyond. Check it and double check it, then check it again. Being sure that the initial information you have is correct is vital if you don't want your research to soon start going in circles. For example, you know your grandpa's name and where and when he was born. You've checked with your parents and know what they've told you is correct. Maybe someone can also offer up the names of your grandpa's parents, or at least what they think they may have been (older generations have a frustrating ­- for genealogists, at least – tendency to have nicknames that leave their real names shrouded in mystery). That's your starting point. Now, search for your grandpa's birth certificate by entering his name, and date and place of birth in the search field of the Births & Baptisms part of our BMD (and parish – more on those here) records section. Confirm you have the right document by checking the information it contains against what you already know. Name and date of birth are exact matches? That's your man. Birth certificates also contain the names of the parents, so now you can also confirm the (legal) names of your great-grandparents. Congratulations, you have your first genealogical document, and the information you've discovered (grandpa's full name and D.O.B, and great-grand-parents' names) can be added to your family tree. Your next step is tracking down a marriage certificate for your grandpa's parents. Your grandpa's birth certificate confirmed their names, so simply search for these in the Marriage & Divorces part of our BMD section. Having two exact names to search makes it relatively easy to find the correct marriage certificate, but if multiple results do come up you'll need to eliminate the incorrect ones by process of elimination. Where were they married? What were their jobs? Ask around your family and see if anyone knows, or even has a rough idea. Marriage certificates are great genealogical resources because they also include the happy couple's names and occupations. By this point, and with only a little work, you have discovered two of your great-great-grandparents, and even know how they made their living. Not too shabby, not too shabby at all! That marriage certificate you found also has enough info to be able to search for more birth certificates, which, you guessed it, will enable you to learn your great-great grandparents' names (if they aren't already listed on the marriage certificate). You already know your great-grandparents' names, and while the marriage certificate won't show you their dates of birth, it does list their ages and date of the wedding, so it doesn't take a genius to work out what year they were born in. However, it's definitely a good idea to allow some room for error when working out birth dates from marriage certificates because it wasn't uncommon for those getting married to fib about their age. Maybe the bride wanted people to think she was younger than he really was, or they both had to pretend to be over 21 to allow them to marry without their parent's consent. Either way, it's sensible to remember there's a chance your ancestors were generous with the truth, and to search for their birth certificates on the year they should have been born, and the couple of years either side. Two documents in, and you already know so much more about your family history than when you started, and even have the potential to go further back to explore your great-great-grandparents' families. Want to know more about what they were like as people? Search the professional records relevant to the occupations listed on marriage certificates, scour the local newspapers around the time of their lives, or even look up prison indexes in the hope of getting a mugshot. The possibilities aren't literally endless, but they really aren't far off. Life, on the other hand, most certainly comes to a conclusion and that's where death certificates come in. As well as the date and cause of your ancestor's passing, their death certificate will list next of kin and often where they were buried. Search the Deaths & Burials section of our BMD records with as much info as you have. Aside from the grisly, yet fascinating, descriptions of their demise, it's the next of kin part that can really help to shine a light on what your ancestors were like as people. Don't recognise that lady's name? Someone may well have had a mistress. Children you've never heard of listed? Someone might have fathered some illegitimate nippers. And, of course, knowing where they were buried means a fantastic opportunity to check for other family members you may have missed, thanks to the tradition of families getting buried in the same location. Found yourself on your knees in the dirt scrubbing dirt off a barely legible headstone in the hope it belongs to a distant relative of yours? 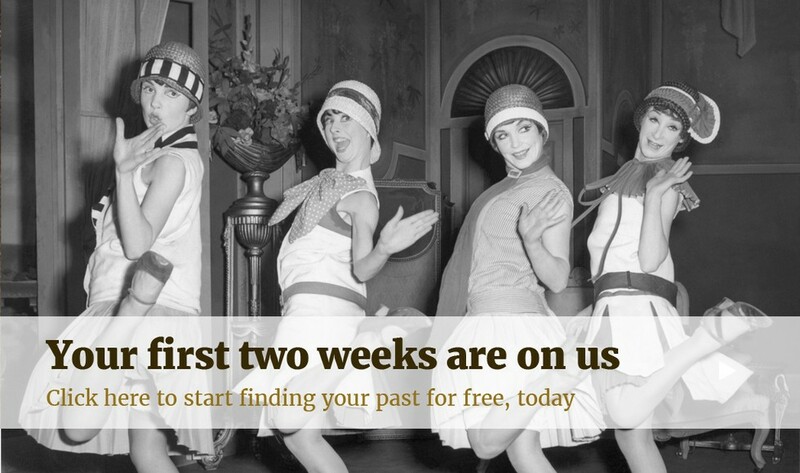 Congratulations – you're officially in the genealogist club, and we're very, very happy to have you!